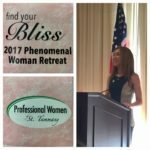 The Monson Law Firm attended the Professional Women of St. Tammany’s 2017 Phenomenal Woman Retreat at the Southern Hotel in downtown Covington. We heard from several guest speakers throughout the day. The first speaker was Susan Bourgeois, CEO and President with Northshore Community Foundation, Susan spoke on how to gain fulfillment through philanthropy. Our Second speaker was Amy Boyle Collins, Vice President with Gambel Communications and Co-Founder/Board Chair of Tres Doux Foundation and Beignet Fest, Amy spoke about finding a sweet solution through social entrepreneurism. Lastly, the Key Note Speaker was Tracee Dundas Founder and Creative Director of New Orleans Fashion Week, LLC! Pictured below is Tracee Dundas. Click here to view pictures! 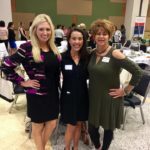 The Monson Law Firm had a great time attending Women Mean Business 2017 at Southeastern Louisiana University! Over 250 women attended today’s event. We learned from leadership coach Dima Ghawi on how we can build our personal brand as a woman in today’s working world. Pictured are Ann’Lee Earles, CISR, CPIA, Danielle Gendusa Wagner with Gendusa Insurance Agency and Ruth Damare’ with Guarantee Restoration Services. Click here to view pictures! 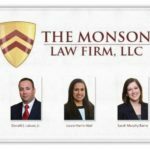 Three of The Monson Law Firm’s attorneys were recently nominated and selected to the 2017 Louisiana Rising Stars list for the Super Lawyers Magazine. Only 2.5% of attorneys are selected to Rising Stars each year. Sarah Murphy Barro was selected for the practice area of Employment Litigation Defense. Donald Latuso and Laura Abel were each selected for the practice area of Insurance Coverage. Congratulations! Click here to view pictures! Springtime is a season of rebirth, rejuvenation, renewal, resurrection and regrowth. 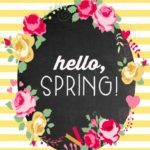 The Monson Law Firm wants to wish all of you a happy first day of spring! Click here to view pictures! Matthew Monson, Esq. 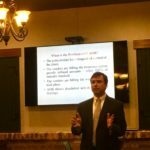 was today’s guest speaker at the Northshore Claims Association’s March lunch meeting at Bosco’s in Mandeville. He gave a very informative presentation on the Assignment of Benefits. Thanks to everyone who came today we had an excellent turn out! Click here to view pictures! 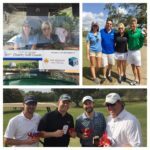 The Monson Law firm had a great time sponsoring the beverage cart at the Independent Insurance Agents of Greater New Orleans Alvin Shepard Golf Tournament. We hope everyone enjoyed using their new Monson Law Firm koozies! Pictured top right are Baylie Babin with Imperial Premium Financing Company, Matt DeBlanc with Continental Insurance, Ann’Lee Earles, CISR, CPIA and Chris Duncan with HomeBuilders Self Insurers Fund. Pictured below are Brandon Aydlett with Servpro, Jason Stefanick with Afco, Stephen Clay and Colin Hinds with Stone Insurance. Click here to view pictures! International Women’s Day is a global day celebrating the social, economic, cultural and political achievements of women. 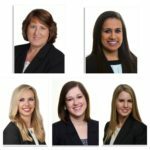 The Monson Law Firm would like to recognize our female attorneys: Marjorie Salazar, Laura Abel, Rachel Flarity, Sarah Barro, and Janna Underhill. We are proud that 62.5% of our attorneys and 81% of our staff are the best women any law firm could want as part of the team! Click here to view pictures! 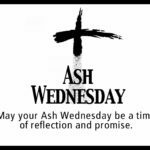 The Monson Law Firm would like to recognize Ash Wednesday and the beginning of Lent. We hope you have a blessed day! “All are from the dust, and to dust all return.” Ecclesiastes 3:20 Click here to view pictures!